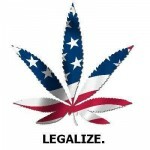 Washington, DC: Millions of voters will decide on Election Day in favor of ballot measures to legalize and regulate the use of cannabis by adults. Voters in three states – Colorado, Oregon, and Washington – will decide on statewide ballot measures to legalize the possession and distribution of cannabis for those over 21 years of age. Voters in three additional states –Arkansas, Massachusetts, and Montana – will decide on measures to allow for the therapeutic use of cannabis by patients with qualifying ailments. In Michigan, voters in four cities – totaling over a million people – will decide on municipal measures to legalize or depenalize the adult use of cannabis.